Diary Ended up at Augrabies Waterfall (not another waterfall) National Park where the big attraction for the kids were the rock dassies, the closest living relative to the elephant. LR with no name got a bit excited at this! Back into the land where everything works as it should. 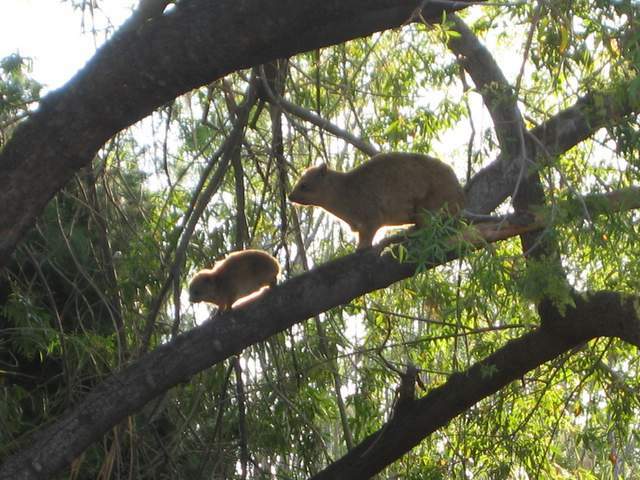 PIC SHOWS: CLOSEST COUSINS OF THE AFRICAN ELEPHANTS HAVE LEARNED HOW TO CLIMB TREES.